Over the years Mark has been honoured to work in Vancouver at The Fairmont Pacific Rim, Oakwood, and Boneta to name a few. 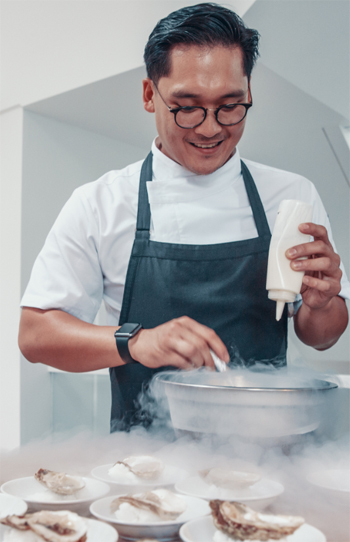 Within a year before his new project opening up, he ventured off to Melbourne, Australia where he worked at Vue De Monde, and Saint Crispin. He hosted the first of many Pop-Ups while in Australia with much success.